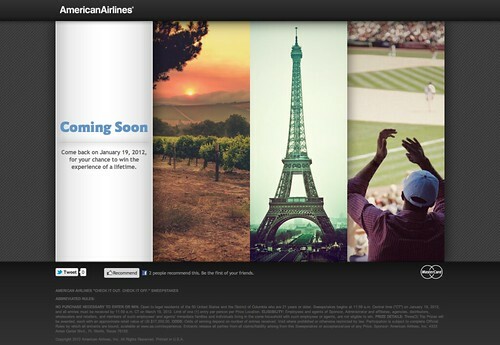 Here’s a preview of the upcoming American Airlines “Check it out. Check it off.” sweepstakes. You can take a look at the site here. If I had to pick one of the three destinations, I’d pick Paris. Just went to Paris in October and I would go back in a heartbeat! @ IPBrian – There’s no such thing as to going to Paris too often. 🙂 After looking at your photos of the Paris, I really want to go! Is this really a debate! Paris no doubt!! !